LaStone Therapy is not your typical “hot stone massage”. It is a trademarked style of massage, founded by Mary Nelson of Tucson, AZ. LaStone Therapy uses both hot and cold stones (when needed) to massage the body. The use of cold stones may not sound very appealing, however, they have a very therapeutic effect when used in conjunction with the hot stones. Alternating between heat and cold both stimulates and relaxes the circulatory system, which is very detoxifying for the body. In cooperation with heated stones, chilled marble stones create a dramatic movement of fluids within the body. The combination of cold and heat creates a “flushing out” action of the toxins. LaStone Therapy can only be performed by someone who is certified to be a LaStone therapist. Nancy Plantinga was trained in the art of LaStone Therapy at the Esalen Institute at Big Sur, CA with Mary Nelson as her teacher. The stones she uses during her sessions were those that she trained with in CA. They originally came from the Salt River in AZ. What will happen during your LaStone Therapy treatment? You will lie face up on the massage table under a large towel. The session begins with gentle energy work and opening of the energy centers. You will then sit up as the therapist places two rows of flat, warm stones on the massage table in alignment with both sides of your spine. 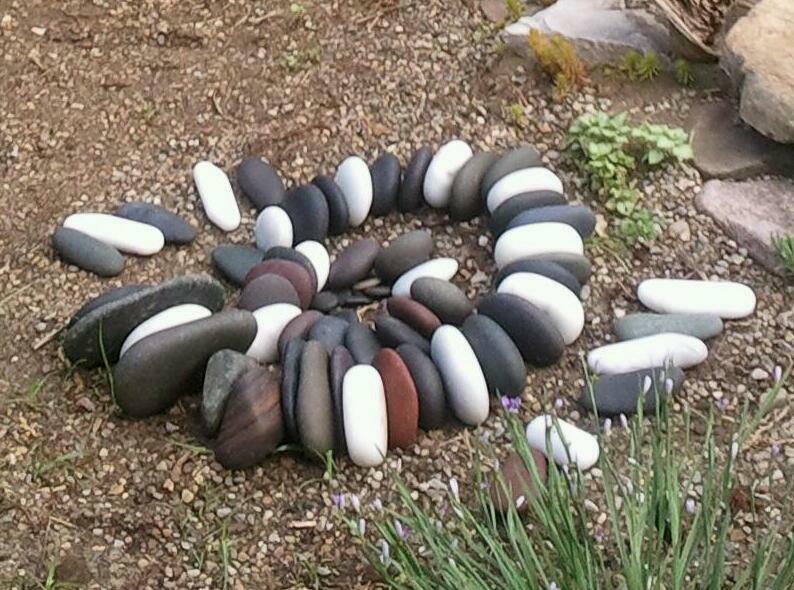 Each stone is shaped to support the curvature of your spine. The stones will be covered with a soft towel to protect you from the heat. You will then lay back down on them as they create warmth and acupressure along the spine. Stones of varying weight will be placed on your body's key energy channels, including the seven main chakras. Pebble-sized warm stones are placed between your toes and medium-sized stones are placed in your palms. Hot stones, hot oil, long connecting strokes and the energy of the “stone people” will help bring you into a deeply relaxed state. Approximately half way into your session, the stones that are lying on the energy centers will be gently removed in rhythm with your breath. The energy centers are then “sealed back up” as not to leave you feeling open and vulnerable when you leave the office. 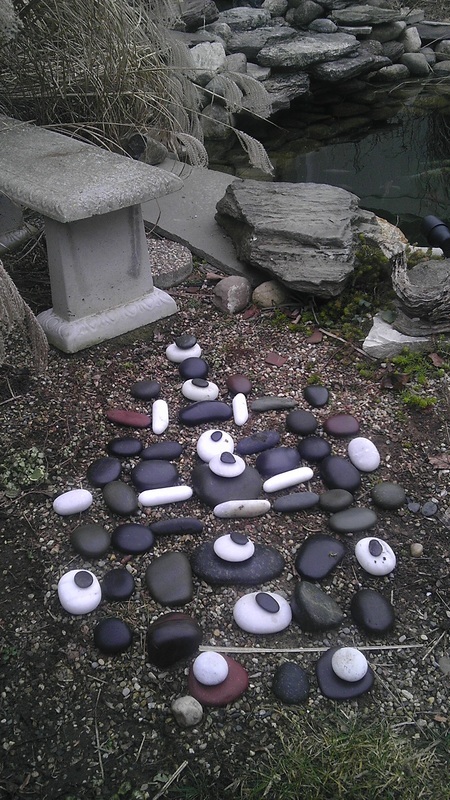 The stones are respectively taken care of, placed on the earth to “recharge” after a days work. They are always bathed and sanitized before working again. The stones will be removed from your hands and toes as well. At this point, you will be asked to sit up so the stones that you were lying on can be removed. You will then turn over. Lying underneath your belly will be the “grandmother stone”. She will bring you her warmth and wisdom. Stones will be placed back in your hands, after being reheated to help keep you warm and bring you more healing energy. You will then be massaged with hot oil and hot stones. A finishing technique will close the session. Cold stones may be used in areas where there is inflammation, injury or an energetic imbalance. You should always let the therapist know before the session begins if you have any problem areas that need to be addressed. In addition, you should always speak up if anything is uncomfortable during your LaStone Therapy massage. LaStone Therapy is a very spiritual massage. The intention is to make a connection with the energy of the stones. Miraculous things have happened during these sessions. LaStone Therapy Sessions: $90.00- hour, $125.00 - 1 1/2 hours.